When you have to work simple geometries, and you don't want to deal with cad tools , use Fast Shapes. With few parameters is possible define most of the common geometries. You can add a Fast Shape in 2 ways. One of the pros of using this type of geometry definition, is the ability to edit easily. The associated toolpath will be regenerated automatically. 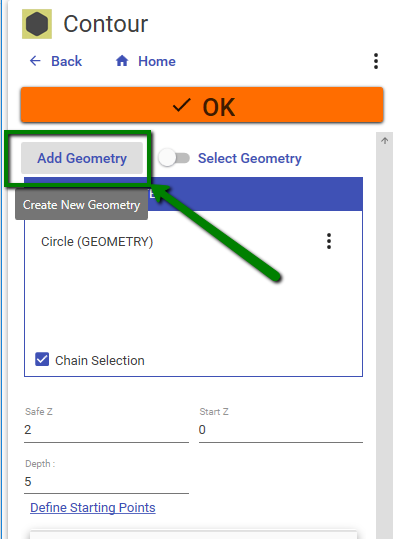 To edit the shape , click on related item in geometry list, see image. 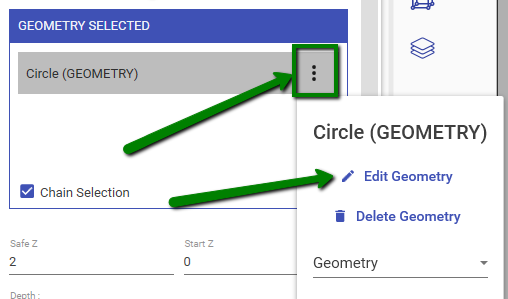 If you want to remove it from geometry list , click the related 3 dot button and then DELETE GEOMETRY. In this way you remove only the association from geometry and the machining. The shape is still present in the scene. 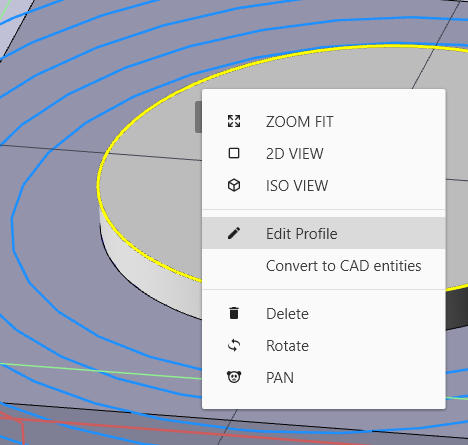 Right click on it in the viewport and select CONVERT TO CAD ENTITIES in dropdown menu. Now you can use toosl like trim or modifiers with generated entities.